Antioxidants act as bodyguards for the body, fighting free radicals and oxidative stress. Our Antioxidant Formula contains a powerful blend of nutrients that flight damage from free radicals to improve overall immunity and a healthy inflammatory response. Antioxidants can support cardiovascular health, brain health, skin and the immune system while counteracting oxidative stress. 1. Huang Z, Rose AH, Hoffmann PR. The role of selenium in inflammation and immunity: from molecular mechanisms to therapeutic opportunities. Antioxid Redox Signal. 2012;16(7):705-43. 2. Sram RJ, Binkova B, Rossner P. Vitamin C for DNA damage prevention. Mutat Res. 2012;733(1-2):39-49. 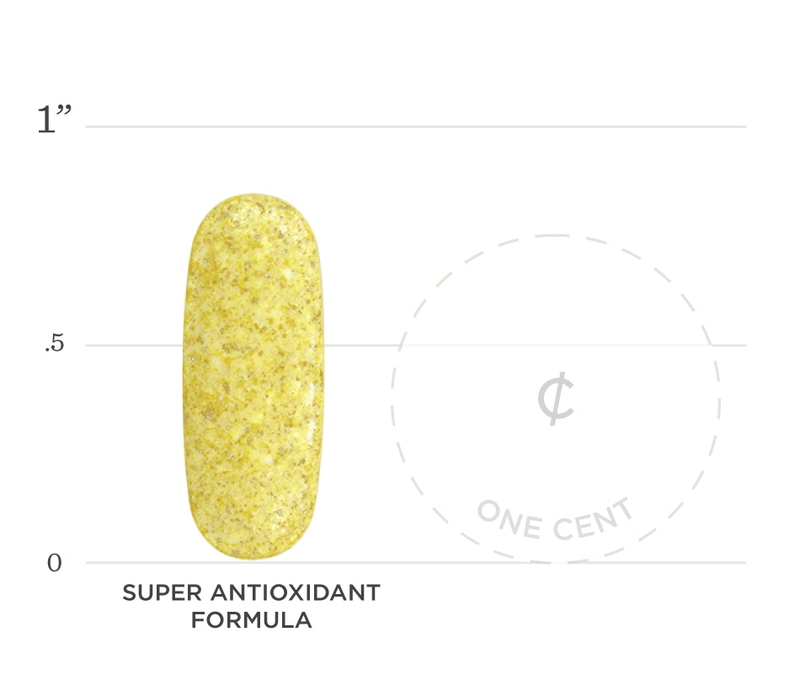 Below we've broken down the main functions of our Antioxidant and the benefits it can provide. Antioxidants like vitamin A, C and E have been shown to assist in DNA repair and reduce DNA strand breakage. Glutathione acts as a modulator for DNA-repair activities. Zinc is an important antioxidant which has been shown to help support cells and reduce oxidative stress. 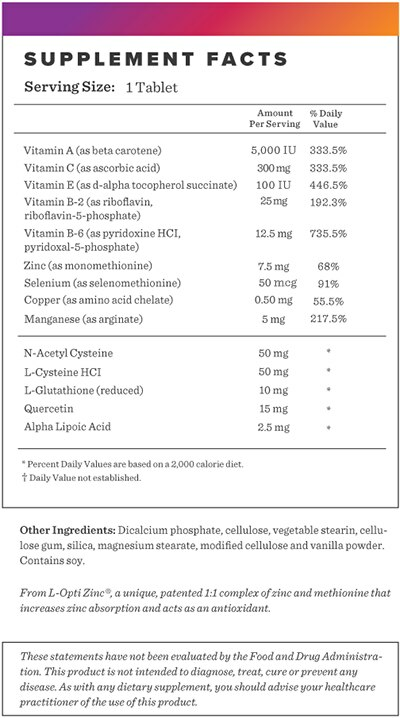 Our antioxidant supplement contains L-OptiZinc® which pairs Zinc with the amino acid methionine. Research shows it''s better absorbed and retained longer compared other common forms of zinc. Antioxidants protect the body from free radicals which can reduce inflammation and improve overall immunity.